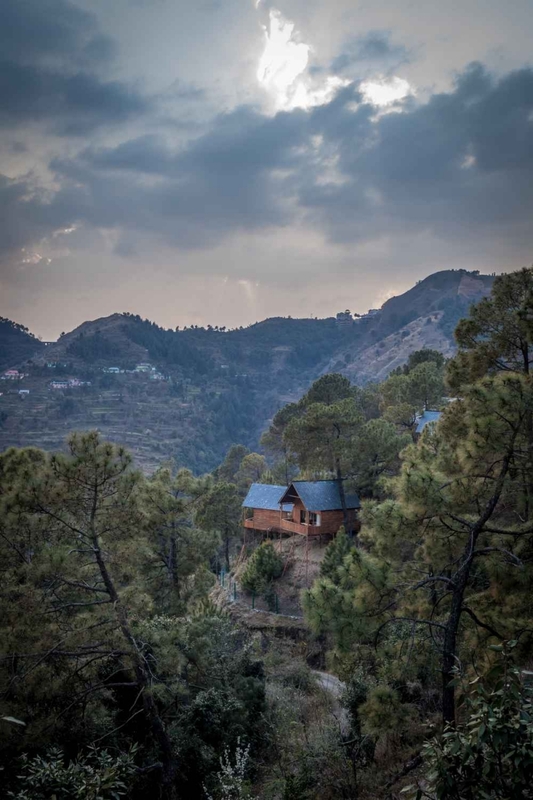 Hidden deep within the forest, in the picturesque hills outside Shimla, Suro Treehouse Resort presents the glorious union of luxury and nature, where traditional Himachali pinewood houses meet 21st century design and comfort. Suro Treehouse Resort is perched among the trees on the hillside, high above the quiet hamlet from which it takes its name. 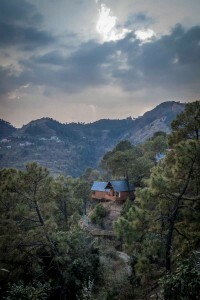 Though the secluded pine, deodar and oak forest setting is easily accessible—4km from the National Highway at Kaithlighat and 16km from Shimla—you’d never know it once inside, enclosed as you are by pure nature, untroubled by the bustle of the modern world. 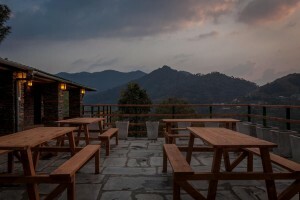 For those who want to escape the stresses of urban living and immerse themselves in the rhythms of the mountains … who want to reconnect with the earth and breathe lungfuls of pristine Himalayan air… who desire to recharge their batteries and be pampered in the lap of nature… Suro is the answer. 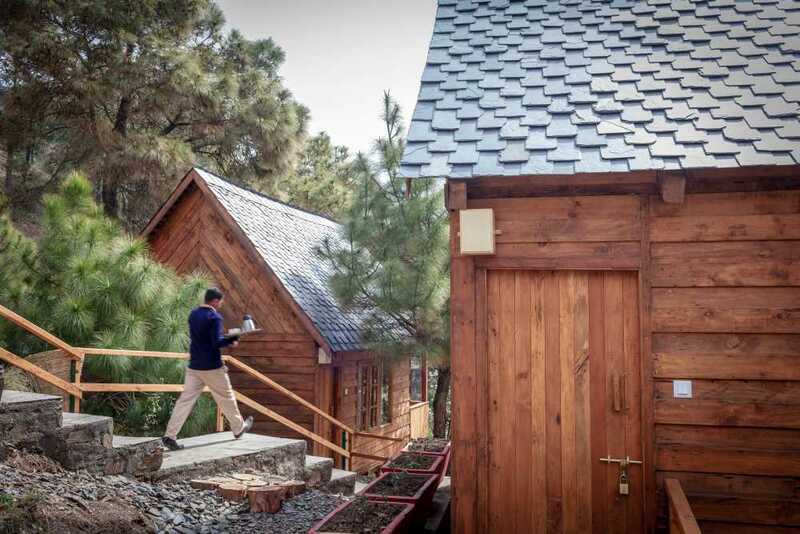 Easily reached, wonderfully isolated, with five-star service matched by intimate hospitality, it’s the ideal place to get away; the antidote to the summer heat and the winter haze. Most of our staff members are hired locally, sourced from the nearby villages in order to generate rural employment, and to ensure your stay is as authentic as possible. Discreet fencing surrounds the entire property, while security guards are in place around the clock to ensure complete safety in the middle of the forest. Breakfast and dinner are served buffet-style in the dining room made in the traditional Himachali stacked- stone design style. 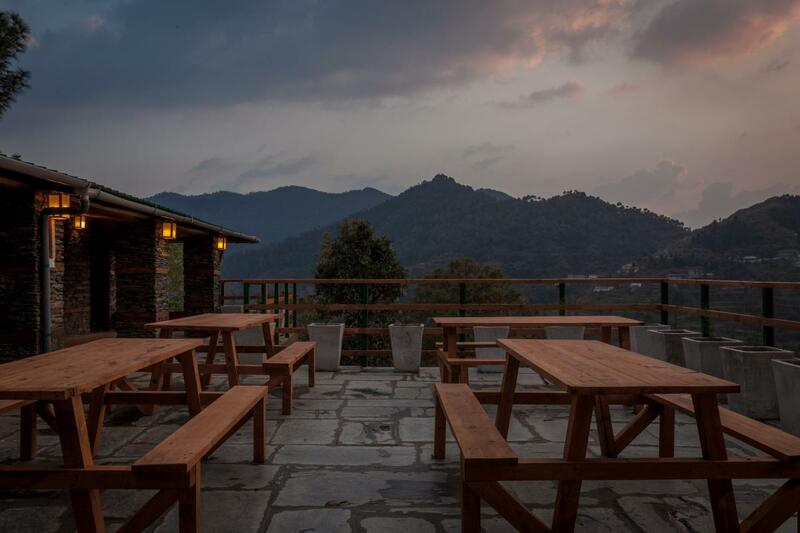 Both indoor and outdoor seating is provided with benches outside overlooking the forested valley. The menu reflects the kitchen’s focus on using locally-sourced organic produce with vegetables and milk arriving fresh every day from Suro. The cuisine is predominantly Indian along with some global favorites including clay-fired oven pizza and pasta.